This is an article from GuitarWorld.com I think jimi was absolutely one of the BEST guitar players of ROCK and Electric Blues ever but that is my opinion thought you might like to listen to this if your a fan as well. In a video posted last November, a clip of a “new” Hendrix track called “Somewhere” could be heard as engineer Eddie Kramer discussed the making of People, Hell & Angels, a collection of 12 previously unreleased studio recordings from the guitar legend. Now the entire song — which features Buddy Miles and Stephen Stills — can be heard in full online. Stream it below via the video player. Culled from the guitarist’s final recordings, the post-Experience material promises to veer in unexpected directions, even for diehard Hendrix fans. The collection, with a title coined by Hendrix, features a host of new collaborators for the guitar legend. So in keeping with the Christmas season and music I wanted to try to share something interesting as well as meaning full, that is when I remembered my favorite musical piece for the Christmas holiday, MESSIAH! George Frideric Handel was born in Germany in 1685, the same year as Johann Sebastian Bach. His father wanted him to study law, but when it became apparent that the young Handel was musically gifted, his father reluctantly agreed to let the boy study music. 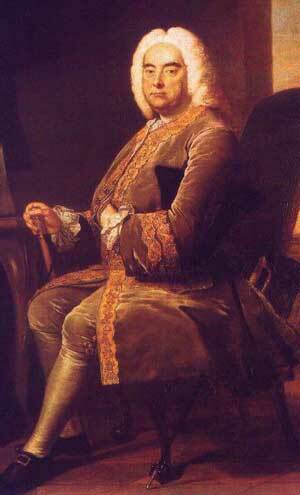 Handel became an accomplished harpsichordist and studied in Naples, where he became an acclaimed writer of Italian operas. He later moved to England, where he continued to have success writing opera, as well as compositions for the royal court. Handel’s Water Music was composed for King George I. That was April 13, 1742, in Dublin, Ireland. The previous year, Handel had been approached by the librettist Charles Jennens about a musical oratorio on the life of the Messiah. Jennens’ concept was to tell the entire story of the Christ through passages of Scripture put to music. He would begin with the Old Testament prophecies foretelling the ministry of Christ, move to the New Testament’s accounts of the birth of Jesus, then forward through his death and resurrection, all seen through the eyes of the writers of Scripture. In an age when illiteracy was widespread and written copies of the Bible were expensive and rare, Handel became excited about Jennens’ idea. Handel pioneered the “oratorio,” a musical composition designed to teach the Scriptures by setting them to music. He seems to have immediately understood how important such a composition about the life of Jesus might be, and he set to work on it right away. That first performance of Messiah in Dublin (a charity event to raise money for a hospital) was a huge success. The piece was not as well received when it debuted in London, but Handel made it a recurring part of his schedule of performances — it became his tradition to perform Messiah annually as a benefit to raise money for London orphanages.George Frideric Handel died in 1759 and is buried in Westminster Abbey. Messiah is one of his greatest musical creations, and is arguably the greatest piece of Christian music ever written. The Hallelujah Chorus is instantly recognizable, even by those who do not consider themselves members of the Christian faith. It has become a part of our Christian cultural heritage. The King stood when He heard it. Upon hearing the “Hallelujah Chorus” movement of “Messiah”, King George II of England was reputedly so overcome with emotion that he spontaneously rose to his feet. When the king stands, everyone stands, so the audience immediately rose also. The tradition of standing for the chorus is still observed today in most live performances of “Messiah”. In 1753 He suffered permanently from blindness His blindness was caused by a unsuccessful operation on his cataracts. Handel continued to compose music in spite of this handicap. FabFilter Twin 2, Timeless 2 and Volcano 2 have a new Modulation button to easily show and hide the modulation section. By default, the modulation section is hidden to make the plug-in less intimidating at first, but you can easily look ‘under the hood’ when you want to tweak a preset or design your own. Updated all VST 3 plug-ins to support new features in VST 3.5, such as a host-provided right-click menu for each parameter in the interface. Steinberg’s CMC-AI controller is now also supported. Added Options > Open Other Preset option to the presets menu, making it easy to open a preset that’s not in the regular presets folder. The Mac OS X version now requires OS X 10.5 and an Intel processor. We still offer previous versions for download if you need OS X 10.4 or PowerPC support: http://www.fabfilter.com/support/downloads. The updates are free for existing FabFilter customers. Updates and 30-day trial versions are available for download now atwww.fabfilter.com/download.